Redesign and launch your new website without losing traffic from search engines. How do you keep your rank in Google after a website redesign? There are dozens (if not hundreds!) of decisions you'll make when redesigning your website. 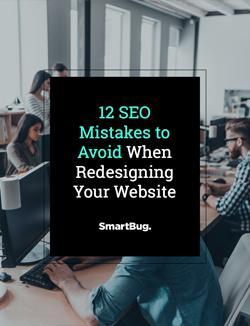 After months of planning, designing, writing, and developing, you finally get to show off your masterpiece to the world - but how will you ensure the SEO value you’ve built up is retained and enhanced by your new site? To download, simply fill out the form.